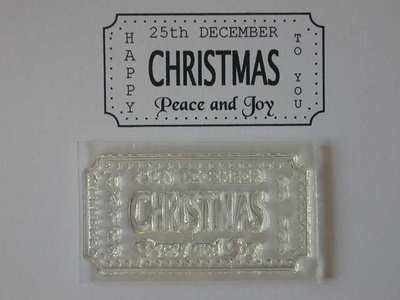 Christmas ticket stamp that will fit the Tim Holtz ticket strip die. The ticket has '25th December', 'Happy Christmas to you', and 'Peace and Joy' text and line and dotted borders. The stamped area of this ticket is 4.7cm x 2.4cm. 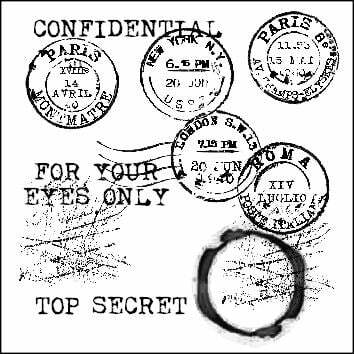 Clear stamp to use with acrylic block, easy to position your stamp just where you want it.